You may not know about his actual profession in first few meetings as he seldom gives the impression of that so called "passionate travel enthusiast". Dhirendra will discuss everything in the world but travel as he does not have to; travelling and knowing about places is what led him to this profession - he simply lives it! 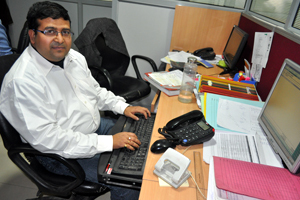 A Master's degree holder in travel management, he has a keen eye for detail and processes and that has earned him many happy travellers in the last15 years. You ask him and he will share hundreds of travel experiences ranging from the bungee jumping adventure in Phuket to the wonderful treks in valley of flowers. When not busy helping travellers make their vacation a reality, you can find him singing karaoke, cooking or taking a small break in the nearby hills. A proud dad of two beautiful kids, he tries hard to fulfill their demands during weekend breaks. Not a real gadget lover at heart yet his BlackBerry 9830 keeps him quite busy these days. A discerning travel enthusiast, Gaurav has been instrumental in helping hundreds of travelers explore India the way they want. Seemingly a man of few words, he can surprise you with his vast knowledge of travel destinations and cultures. 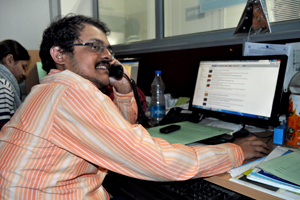 His patient style of working makes operational nitty-gritty look so easy. 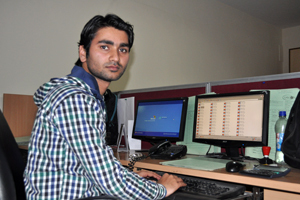 Gaurav brings perfect synergy in sales and operations team. 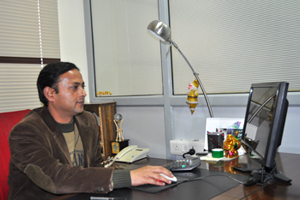 Having a Master's degree in tourism, Gaurav has travelled widely in India in more than a decade of his travel career. For him, it's very important to guide you and include his experiences to help you understand what all to expect on your India trip. 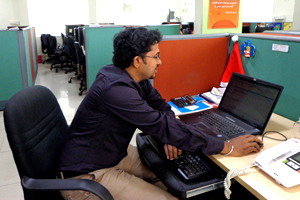 Varun loves helping people planning their holiday - be it a family vacation or a routine business trip, he is game for it. For him, it is rewarding to find exactly what you are looking for and if you don't think it's possible, he takes it as a challenge to solve your travel dilemma. As someone who is fond of exploring new places, he never stops reading new travel books, journals, newspapers and exploring internet. With over 8 yrs of sharing knowledge and experience in travel trade, he plans to visit at least a dozen unexplored places in the next 2 years. 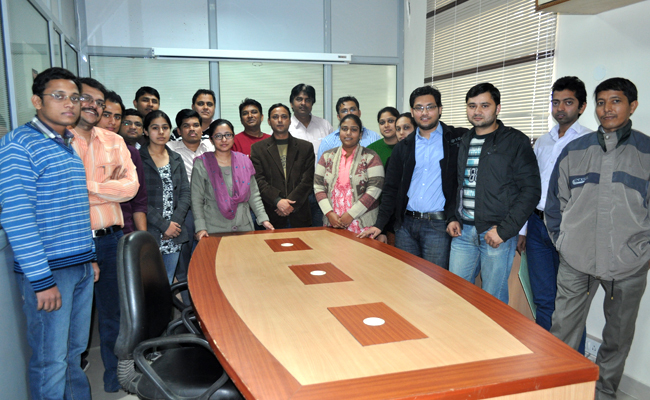 Anand's educational background may surprise you and you may wonder, a robotic engineer into travel trade? Yes, that is Anand for you! 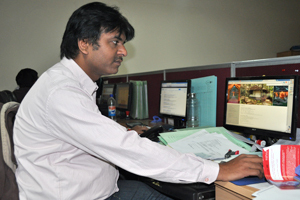 Anand is one of those persons who pursue an entirely different profession than what their CV may suggest. He discovered the traveler inside him during his stay/work in Germany - this blossomed into a lifetime passion for exploring new places and cultures. His varied work experience in the last 8 years helps Anand see things in new perspective and dimension - which is so exciting for the traveler in you. 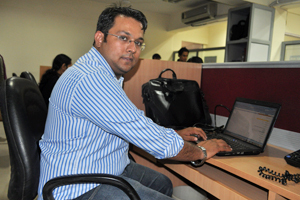 When free from work, Anand can be found trying various types of food or travelling to new or his favorite places. As long as you don't ask him to plan a trip for you to Moon, he is more than eager to help you with his travel experiences and real knowledge of destinations. An enthusiast of adventure tourism, Laxman has helped hundreds of happy travelers plan their vacations into the mountains, beaches, deserts and other places. His childhood adventures have resulted into a lifelong passion for travel, exploring nature, learning about local history and indigenous cultures. A Post Graduation in science led him to M.B.A in tourism - his true calling. Having great ideas and knowledge on destinations in India and abroad, he has escorted many groups and FITs within India & overseas (like Singapore, Sri-Lanka etc). 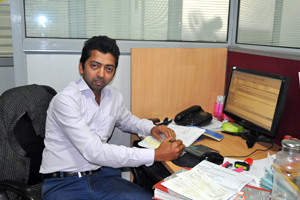 Laxman can surprise you with his precision in itinerary planning, costing and tour implementation. 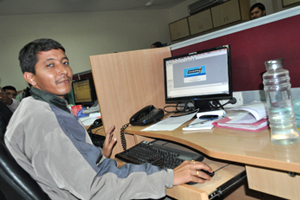 Listening patiently to the clients' needs and creating an unforgettable experience for them is what Sudipto is best at. Nothing can give him as much joy as hearing his clients sharing happy memories when they return back. Apart from seeing small and unexplored places, Sudipto likes to catch these memories into his lenses. His vast knowledge about places makes him a great itinerary planner. Exposure to operations, in his previous profile, is a boon to his clients as it comes handy in bettering your travel experience. He has traveled to many places within India and his favorite destination is Jaipur, the pink city. There are very few people like Shishir - someone who knows the art of getting virtually everything done - other than making rockets and nuclear bombs, you understand that! 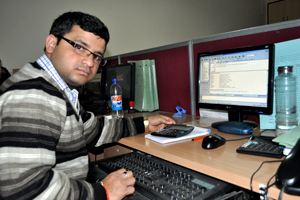 Having worked in admin, operations and sales, Shishir has that special ability to get the best of deals for you. Not the one to say "No" to clients, he will do whatever he can to make your holiday and stay as memorable as you ever thought. A loving father, he enjoys spending time with his son. His ever smiling face very well compliments his profession and that is very well reflected in our clients' travel experiences. With huge experience in exploring a number of places, Risto helps you make your vacation truly memorable. Dozens of travellers agree to the same as he puts his best effort in making your experience the best ever. With a Masters degree in Tourism Administration and an MBA, he is always there to help you plan a hassle-free and exciting holiday. Besides travelling, Risto is also passionate about sports and food. When he is around, you just need to relax and sit back and enjoy your holidays. The requirements of all travellers vary and looking into the specific requirement of each individual is exactly what Dipti is good at; she considers this aspect the most important one. She pays close attention to the customer's requirements and gives them exactly what they want. 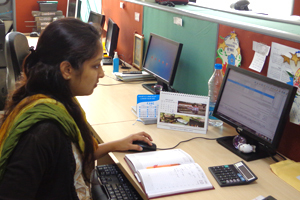 While talking to Dipti, you can easily make out how much she knows about places and her keenness for detailing. An MBA in HR, she has a long list of passions that include exploring new places and cooking. Public relations come naturally to some individuals and Syed Mehdi is one of them. Just imagine how much this guy would enjoy his work if it involves public relations! This truly reflects in his communications with clients. Syed Mehdi brings into use this side of his personality into getting things done with speed, precision and trouble-shooting. Apart from travelling to new places to know more about people, local culture and food, he is passionately fond of writing and reading poems. With him around, you can leave all your worries aside and embark on your dream vacation! Not all are as lucky as Sandeep as we either do not realize at all or realize quite late in life what we love doing. A graduate in physics, Sandeep was quick to discover his love for travelling. He says, "I love when people return from a trip and tell me they've had a wonderful time and my insight and experience helped them in their memorable holiday". Apart from English and Hindi, he also speaks Spanish. When he is around, you never have to worry about your travel arrangements - he always ensures everything is at your fingertips.